Q8research has high throughput catalysts testing unit available to test and compare commercial catalysts. Catalyst testing and comparison can be performed for different refinery hydroprocessing applications with actual feed. The 16 fold high throughput reactor unit at Q8 research can be used in various hydro-processing applications, which are important in the refinery applications (e.g. 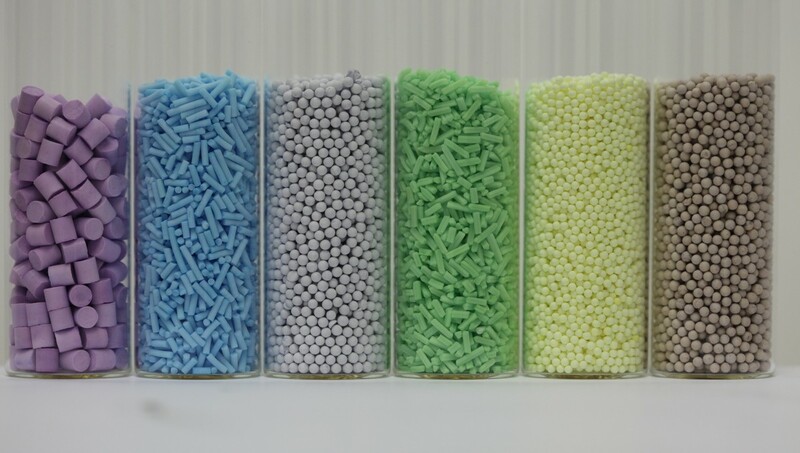 hydrodesulfurization of diesel, atmospheric residue or other heavy feedstocks, hydrocracking of various streams, isodewaxing of long chain paraffinic streams to produce lubricants, hydrotreatment of biofuels like pyrolysis oil or bio based feedstock). The strength of Q8Research lies in combining the results of our experimental research with our technical refinery expertise and our knowledge of the products. The 16 fold high throughput reactor unit can be used to for discovery of a new catalysts for a process and at the same time can be used to benchmark different commercial catalysts. The unit is fully automated and can effectively provide a good feedback on the performance of the catalysts (activity and selectivity). Moreover, it can used for long term tests under industrial process conditions to have a feedback on catalyst stability.